Enjoy up to 12 Beauty Treats exclusive online! * $100 off First Order Exclusive offer is only applicable to new customers registered on Clarins.com from 06/06/2018 and the first order exceeds HK$1,000 with promo code WELCOME at checkout. New and existing customers can receive Free Shipping offer and 6 pcs samples at check out on any order without minimum spend required, and receive Celebrate Makeup gifts when the order exceeds HK$1,380. Offer will expire at 11:59PM on the 30th of June 2018. 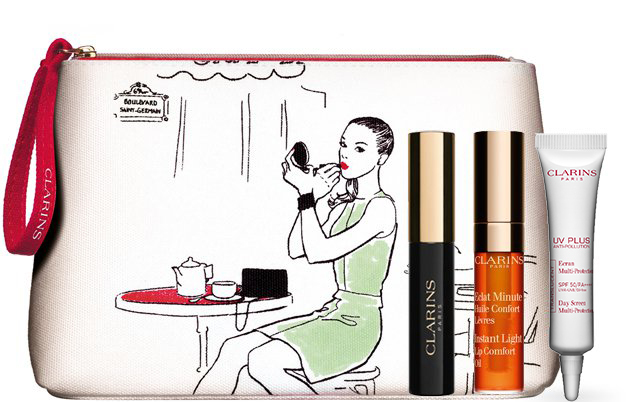 The offer is exclusive to Clarins.com.hk and may not be combinable with other offers. The offer is one gift per customer, unless otherwise noted, and while supplies last. We reserve the right to substitute samples and travel sizes in the event a trial goes out of stock. We reserve the right to cancel any order due to unauthorized use of offer and to modify or cancel this promotion due to technical error or unforeseen problems. 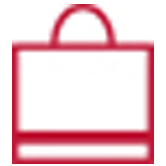 We reserve the right to substitute any free item offered with an item of equal or greater value. Applicable purchase amount does not include shipping, handling or sales tax charges. Promotions may not be applied to past purchases. Any promotion will not be granted and may not be redeemed for a future purchase if the initial transaction is cancelled or item(s) are returned. The product images shown are for illustration purposes only and may not be an exact representation of the product. 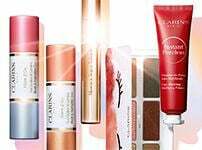 Club Clarins members must create an online account on www.Clarins.com and sign in to accumulate Club Clarins points for online purchase.